Edgar Allan Poe Died Here. Let’s Party! Sometime last year I wrote about one of my favorite annual autumnal activities, escaping to the imaginary village of Sleepy Hollow and visiting for awhile with its spooky, kooky inhabitants. It’s a ritual I look forward to each year, as summer begins winding down and the natural world puts on one last great display of vibrancy before the lights go out. 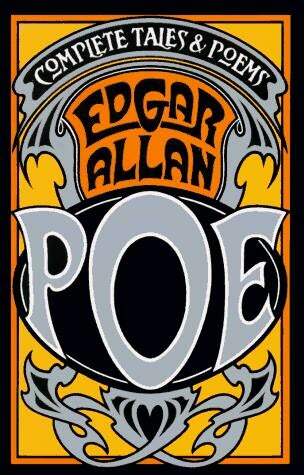 Another treasured tradition for me at that time of year is revisiting the works of Edgar Allan Poe. Unlike Washington Irving, who used his “sketches” to parody everyday life in places like rural New York, Poe takes a decidedly otherworldly worldview. He makes observations about life from a fantastical, supernatural realm, based in the imagination – ”a dimension of sight … of sound … of mind,” as his disciple Rod Serling would later call it. I enjoy his mysterious seriousness and style, and usually pick out a few poems and a story or two to peruse on my own, or read to my children at night before bed, during the week or two leading up to Halloween. Poe puts me in the proper mood for the pending fall festivities and for what may (or may not) lie beyond. This year, however, I am not going to wait until the arrival of All Hallow’s Eve before I get cracking. Instead, I’m getting a jump on things by reading through my big Complete Tales & Poems (you can buy a copy here) a few months early, in anticipation of another key holiday: January 19, which this year marks Poe’s 200th birthday. And I’m not the only one planning to raise the celebratory glass of amontillado. The City of Baltimore is hosting “Nevermore 2009,” a yearlong celebration of Poe’s life and works. The organizers have posted an informative Web site (www.nevermore2009.com), full of Poe-related anecdotes and arcanum– everything from brief descriptions of places of interest, to a video of novelist Laura Lippman’s mystery tour of Baltimore. A calendar of events lists goings on in nearly every month, including a tribute to Poe by actor John Astin (aka, “Gomez Addams”), who recites passages from EAP’s works and comments on the author’s life, as well as lectures, wine tastings, art exhibitions, special tours, and theatrical performances. Baltimoreans have always considered Poe as one of their most famous residents, even though, as they say, “he ain’t from around here.” And the reason why has a certain Poe-etic quality all its own. The “City That Reads” embraces Poe not for his contributions to literacy or because he was born here (he wasn’t, that happened in Boston) or raised here (that happened all over, but mainly in Richmond and abroad), or because he went to college here (nope — the University of Virgina and, for a time, West Point), or lived and worked here (he did that, but very briefly; most of his time was spent in New York). No, Baltimore claims Poe as a favorite son because he died here — and in a bizarre and mysterious way, at that. According to reports, Poe boarded a boat in Manhattan bound for Baltimore on September 27, 1849, but didn’t resurface again until October 3. And no one, not even Poe (who was delirious and incoherent when finally found), could account for his whereabouts during this period or why he was in such a state when discovered by friends at Gunner’s Hall, a public house near the docks in Fell’s Point. Rumors have abounded ever since, including the theory that he was so distraught over his inability to sell his writing, compounded by some failed personal affairs, that he simply drank himself into a state of delusional oblivion. Others speculated that he had been drugged, kidnapped, and beaten by a roving band of Union soldiers — the city had earned its nickname “Mobtown” by then — or had escaped a botched attempt to be shanghaied by sailors, a common conscripting method in the mid 19th century. Nevertheless, Poe never regained consciousness and died on October 7, at the age of 49, from “a weakness of the heart” and “lesions on the brain,” according to the physician’s diagnosis. Not surprising, tell-tale signs of Poe can be found all over the city. For instance, there are two main landmarks — a five-room house where he lived with his future wife and mother-in-law for about three years, and that now serves as a museum; and Westminster Hall & Burying Ground, a converted Gothic church built over catacombs that serve as his final resting place. The Enoch Pratt Free Library has a collection of personal letters, books, and memorabilia (including a lock of his hair and a piece of wood from his coffin). There is a weather-beaten statue of Poe seated outside the University of Baltimore Law School, which eerily proved to be the last work by the American sculptor Sir Moses Jacob Ezekiel. There are bars named for Poe and his work, such as the recently opened Annabel Lee Tavern, and there once was a funky little pizza joint called the Tell-Tale Hearth, now defunct, where I first encountered sweet potato fries. Even the Baltimore Ravens, the city’s NFL franchise team, get their name from the title of Poe’s most famous poem (and, to connect with the members of the Peanut Gallery, the team’s mascots are named “Edgar,” “Allan,” and “Poe”). My plan for celebrating Poe’s bicentennial is to read all his works over the course of the year, starting with my favorites among his 120-odd published poems and stories. Then I’ll move onto works I haven’t read in awhile, like “The Black Cat” or “The Gold Bug,” and start on the new-to-me’s. Then I want to grapple with the lesser known works, like his essays and letters. I’ll report back from time to time, as we approach October, the inauspicious month that is bookended by the date of his demise and the holiday for which he seems the rightful patron saint. “The Raven”: Arguably his best-known work. Although I enjoy reading this poem quietly to myself, often by the flickering light of a jack-o-lantern, it was written to be read aloud, acted out, in fact, as he did for years and years, in front of an audience. Here is John Astin performing (almost speed-reciting) The Raven. Or consider this version, a sort of comic adaptation starring Vincent Price and Peter Lorre (as the titular bird). “Lenore”: Poe had a thing for this sonorous name, a variation of Eleanor and Helen, and used it in several pieces, including “The Raven,” the tale of “Eleonora,” and this poem, a paean to tragedy and the early demise of a beautiful young woman — a theme that shows up throughout his fiction (“Ligeia,” “Annabel Lee,” and “The Fall of the House of Usher,” for instance) and in his life: his wife, Virginia, also lived “in feeble health” and “died so young” at age 24. “The Bells”: This poem, one of the last he wrote but not published until shortly after his death, embodies the literary technique that Poe perfected, onomatopoeia, or the use of a word or a group of words to imitate the sound described. About the only things that don’t rhyme, chime, clink or clang are the commas. Can anyone read all the way through, from “the jingling and the tingling” to “the moaning and the groaning” of “the bells, bells, bells, bells / Bells, bells, bells — ” without suffering some kind of emotional tinnitus? I can’t. “The Tell-Tale Heart”: This, and the “The Fall of the House of Usher,” were the first works of Poe’s I ever encountered. I had a wonderful, inspirational Keating-like teacher in 7th grade who read to us one day every week by candelabra – shades down, lights out, all of us silent (can any teacher do this anymore?). It was mesmerizing. To this day, I can’t read this (“true!”) chilling story of madness (“why will you say that I am mad?”) in any other light. “The Cask of Amontillado”: A superbly convincing cautionary tale about the dangers of combining carnival, alcohol (especially the love of fine wine), egomania (and maniacs), airway disorders, and revenge. Not that it’s an original conceit that hasn’t been told and retold many times. However, the next time someone challenges your connoisseurship, think twice before heading down into his remote, dank cellar to taste an obscure liquor. It might be the last motley-wearing foolish thing you do. “Hop-Frog: or, the Eight Chained Ourang-Outangs”: My kids love it when I read this story, which is one of Poe’s creepiest, cruelest, and one of his last. Little doubt that Poe saw himself as the eponymous court jester (so named for his dwarfish deformities), an unappreciated “genius” who eventually tires of the jibes of his joke-loving king and patrons and outwits — and annihilates — his critics and persecutors. I may also just select some tales at random, perhaps lured by the titles. But, with so many intriguing names to choose from — “To F_______s S. O_______d,” “The Duke De L’Omlette,” “Four Beasts in One–The Homo-Cameleopard,” “The Man Who Was Used Up: A Tale of the Late Bugaboo and Kickapoo Campaign,” “The Colloquy of Monos and Una,” “Diddling Considered As One of the Exact Sciences,” “Literary Life of Thingum Bob, Esq., Late Editor of ‘Goosetherumfoodle,’” “Some Words With a Mummy,” and “X-ing a Paragrab,” to name but a few — even that simple strategy could prove challenging. It would certainly be a labor of love. But don’t take my word for it. Get a copy of Poe’s selected or collected works — there are several good ones on the market — and start digging. If you’re persistent and lucky, you might notice something glowing, dazzling under the floorboards. Keep scratching away and there, amid the wrack and ruin of many weak and mysterious souls, you’ll find beating — here, here! — the heart of a poet. Only this and nothing more? Nevermore. One more thing: Celebrating the bicentennial of the master of the macabre, only a day before the U.S. presidential inauguration, seems a fitting way to usher out the fall of the house of Bush, don’t you think? Originally posted on January 13, 2009.